A CHILD services department criticised following the death of a child plans to change the way it works. The service in Thurrock came under the spotlight in September last year when anonymous whistleblowers alleged that opportunities were missed to prevent the death of a toddler. The allegations sparked an investigation by an independent safeguarding barrister who failed to find evidence that substantiated the claims. But the investigation did result in several recommendations to the service and next week a council committee will hear how they have been implemented. They include ensuring social workers understand the criteria for a Serious Case Review, which is launched when a child is seriously harmed or dies as a result of abuse or neglect. A council report states: “Under new safeguarding arrangements, safeguarding partners must make arrangements to identify and review serious child safeguarding cases which, in their view, raise issues of importance in relation to their area. Further training is being provided to social workers on issues that arise from a child’s accommodation and improvements are being made to communication through “multi-agency training”. A full report on the whistleblower investigation has never released to the public because Council leader Rob Gledhill claims it contains “sensitive information”. When opposition councillors called for a redacted version to be published in December, Mr Gledhill told them he doesn’t have the freedom to make that decision. Labour leader John Kent has been critical of the council’s handling of the allegations and in October he stepped down from his role as chair of the children’s scrutiny committee, claiming his pleas for information had been met with “contempt”. The cause of the toddler’s death has never been established but police have concluded there were no suspicious circumstances. A coroner has claimed the cause was “unknown”. 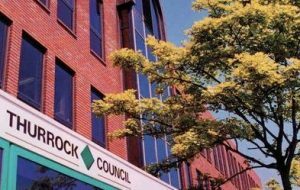 2 Responses to "Child Services department outline reforms after whistleblower investigation"
“A full report on the whistleblower investigation has never been released to the public because Council leader Rob Gledhill claims it contains “sensitive information”. You bet your arse it does. And all us voters know it too. All Our council tax payment forms has never been released to the council because it contains “sensitive information”.